Xiaomi has today announced the launch of its latest smartphone, the Mi Max 2 in India. Priced at Rs 16,999, the smartphone comes with a 6.44-inch display, a massive 5300mAh battery and is equipped with some good specifications. The smartphone has once again ignited ‘how big should be your smartphone’ debate. 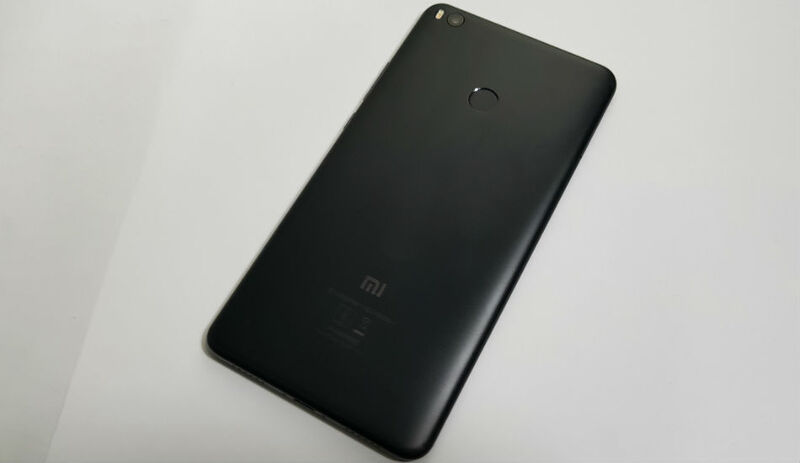 The large screen size coupled with an impressive battery backup can be seen as an ideal configuration for media consumption on a smart device and Xiaomi is eyeing this section with Mi Max 2. But will the large screen display and a massive battery be enough to compete in this market? We spend some time with the device and here is what we think of it. Xiaomi has done some nifty upgrade in this one. To start with, the device is sleeker with just 7.6mm, in spite of sporting a large 6.44-inch display. However, a massive battery has added some weight, which makes a grand total of 211 grams. The phone comes in Black colour only, which gives a premium look and metal unibody construction adds some strength of the device. However, there is no denying that the brand has taken some inspiration from Apple latest iPhones, but most of the Chinese players are guilty of this. We liked the fact that it comes with a curved edge, which makes it easier to hold. The front sports a large 6.44-inch display with some minimal bezels and a curved glass protection. At the top there is a front shooter along with an earpiece and usual array sensors, hiding in plain sight, while at the base, there are navigation controls, which are backlit in nature. The right houses volume controls and power on/off button, while at the left, you will find hybrid SIM slot. At the top, there is a headphone jack along with an IR blaster, while at the base there is a USB Type-C port flanked between two speaker grilles. 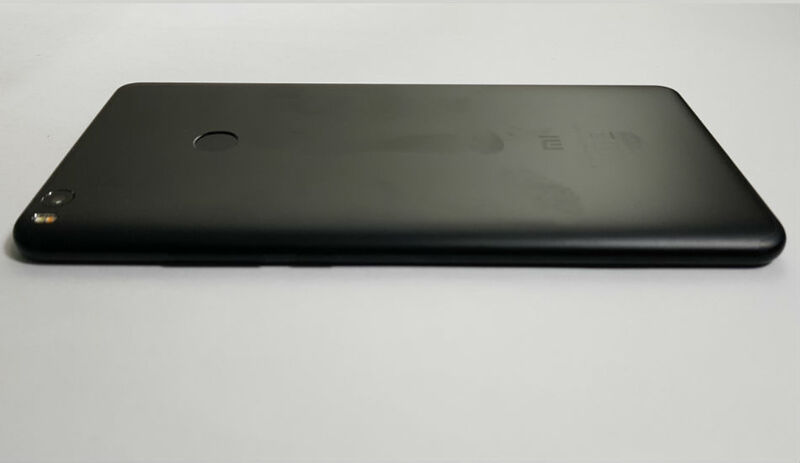 At the back, one will find a rear camera at the top left position along with a dual-tone LED flash, while at the top centre, there is a fingerprint scanner. That said, the smartphone is certainly a huge one, but it is sleek enough to fit into your pocket (not completely in some cases though!). Mind you, one can use this device single-handedly and you need some time to adjust with the device. But, overall, the smartphone does gives a premium look and feel. Coming to the display, it sports a 6.44-inch Full HD display with a screen resolution of 1920 x 1080 pixels. During our brief testing period, we found out the display has some good viewing angles and watching movies will be a delightful experience. Though we felt that the colours are a bit on a warmer side, but one can change this by going to the Display section in the Setting menu. We will discuss more it in our upcoming review. On the hardware front, the device is powered by an octa-core Qualcomm Snapdragon 625 processor along with Adreno 506 GPU. It is backed up by a 4GB of RAM and 64GB of internal storage, which can be further expanded up to 128GB via Micro SD card slot. 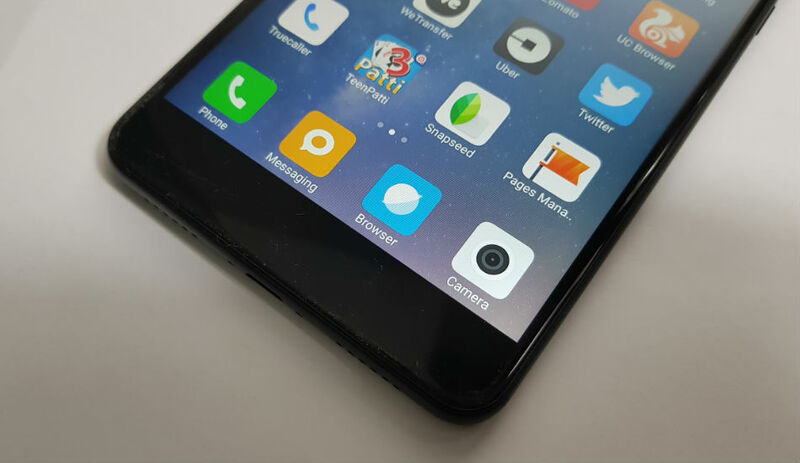 It is safe to say that the smartphone is extended version of the Redmi Note 4. The Snapdragon 625 processor is, indeed, battery efficient and it would be interesting to see how well does it perform during our review period. On the software front, the device runs on Android 7.1.1 Nougat with company’s MIUI 8 running on top of it. The smartphone comes loaded with some interesting features like a Quick Ball, which makes it easier to navigate, second space through which one can create a partition to store different files and more. However, like the previous version, it really takes some noticeable time to complete the first boot. We will talk more about it in our review. On the camera front, the device comes loaded with a 12-megapixel rear camera with f/2.2 aperture, 1.25-micron pixels size and dual-tone LED flash. For the front, there is a 5-megapixel shooter for selfies and video calling. 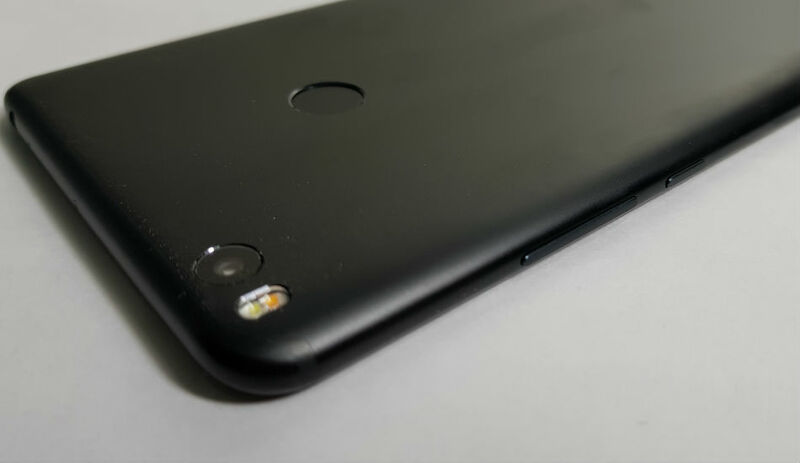 The company has used the same camera sensor, which is present in Xiaomi Mi 6, however, this one lacks OIS (optical image stabilisation) support. During our brief testing period, we found out that the device does take some good photos in broad daylight, with some good detailing, however, same cannot be said for low-light performance. The front camera does an average job as well. Stay tuned with us, as we bring you the proper analysis of the camera. The major highlight of the smartphone is the massive 5300mAh battery, which the company claim can give two-day battery backup. The phone also comes with Quick Charge 3.0 and parallel charging support, which can charge 68 percent battery in just one hour. The parallel charging also helps to control the temperature of the device during the charging period. To be frank, the smartphone sports a battery backup which is present in most power banks available in the market with similar capacity. The USB Type-C port will surely help in fast charging and it would be interesting to see whether it will be able to last two days as claimed by the company. On the connectivity front, the device support 4G VoLTE, dual-band Wi-Fi 802.11ac, GPS/ A-GPS, Bluetooth 4.2, infrared blaster, headphone jack, and USB Type-C port. The hybrid SIM slot could be a pain for some, as one can either use two SIM cards or one SIM and one microSD card. To sum up, the Mi Max 2 banks heavily on display and battery performance. 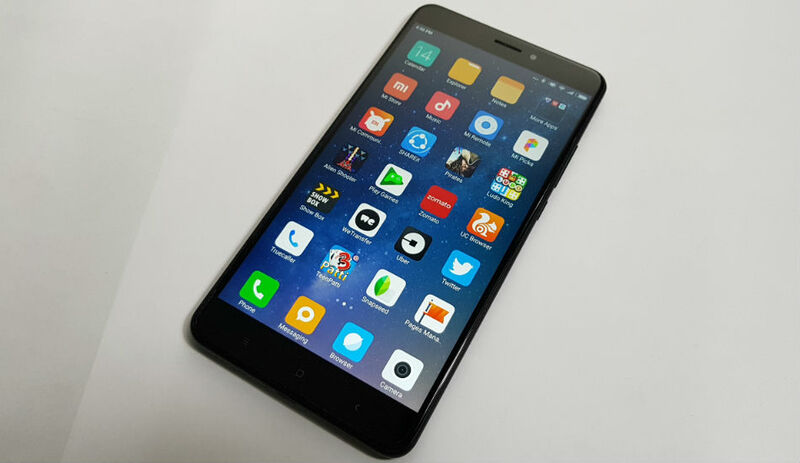 The smartphone is not a like a regular smartphone, you will find it in the market. The large screen is ideal for media consumptions, but it also makes it a bit difficult to operate as compared to other smartphones. As for the competition is concerned, the device will pit against Lenovo Vibe P2, Motorola Moto G5 Plus and others in terms of hardware specifications.